Our homes are sanctuaries. They provide a safe space where we can relax with our families, store valuables and belongings without fear, and find shelter from the outside world. Protecting our homes should be a priority, and one that’s worth spending the time and money on the best means of security. Door locks are the main line of defense for most residences, and, of all the options available, the deadbolt is perhaps the safest and most burglar-proof. Here are some of its advantages. Forced entry is an aspect of most burglaries. Many doors are not sturdy enough to resist a crowbar or a solid kick, which leaves the entire house exposed. A deadbolt’s unique design resists this, however. The bolt itself is made of hardened steel and extends into the hole of the door jamb. This hole should be protected by a metal plate with screws that hold it in place. The entire mechanism is strong enough to resist blows from the outside. Another distinction of deadbolts is that they aren’t spring operated. This is an advantage, because locks with springs provide an opportunity for criminals to pick or jimmy the lock. Deadbolts are designed not to turn except for with the key or knob. Some deadbolts require a key to open both the outside and inside; this provides better security, but also may be hazardous in the event of a fire, unless the key is kept close to or inside of the lock. Deadbolts also provide a psychological advantage: intruders are less likely to target a home with stringent security measures. The presence of a deadlock signifies to them that a residence is well-protected, encouraging them to move on and look for easier locations. Seeking a locksmith to help install door locks, provide access to your house or car when you’re stuck outside, and other services? 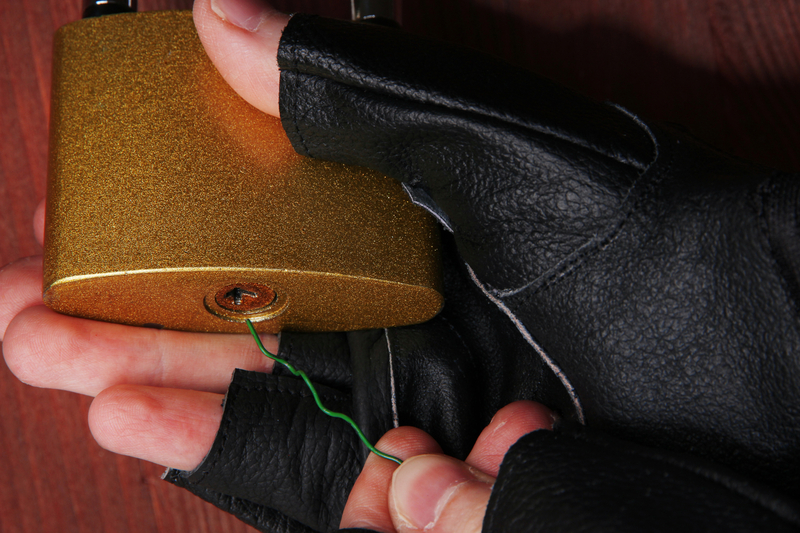 Contact the experts at Able Security Locksmiths. Located in Kenvil, New Jersey, this team of professionals has served homeowners in Morris, Sussex, and Warren counties for over 25 years. They’re invested in offering good quality services, whether you need a residential or commercial locksmith, which is why they make themselves available at all hours of the day and night. To learn more now, contact them online or call (973)584-3033.